An exquisite bridal ring set for a beautiful bride. 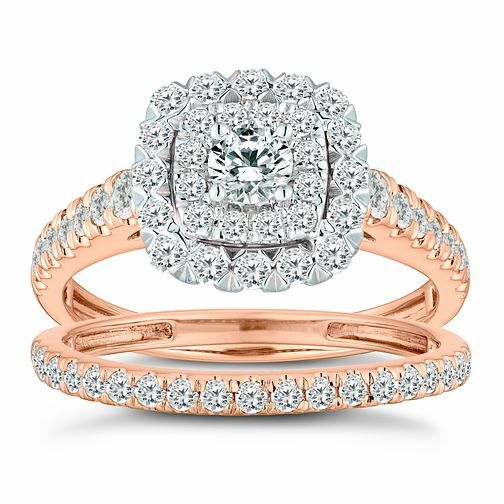 Both rings are carefully crafted in 18ct rose gold and adorned with dazzling diamonds. The engagement ring features as the statement piece, showcasing a captivating cushion cut diamond centre surrounded by a double halo of smaller brilliant diamonds. The total diamond weight for this bridal set is 1ct.